Continuing its march on the wearable world, Xiaomi sub-brand Huami has unveiled the Amazfit Blip, a budget smartwatch that will come with around a month of battery life. 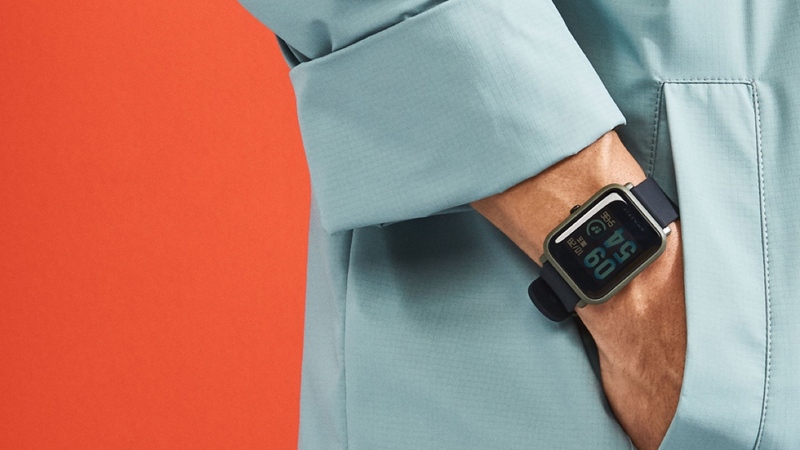 The wearable will be available in four colour variations — black, white, green and red — with an always-on, 1.28-inch touchscreen display featured through a square-faced design. And yes, it does share more than a passing resemblance to a certain Apple Watch. The Bip weighs in at 31g, with a 3-axis accelerometer, heart rate monitor and GPS/GLONASS sensors helping users track activity, sport and sleep. A barometer will also detect elevation and a geomagnetic sensor will be used as the device's compass. It's been slapped with an IP68 water resistant rating, so it'll be good for fending off sweat but it's not fit for the swimming pool. The headline act here, meanwhile, is the battery, which Huami claims will give the smartwatch life for 30 days with regular use, and up to 45 days with some features turned off. In terms of other powers, the smartwatch is able to cover off all the basics. Notification support for texts, emails and other third-party apps is on board, while activity settings can all be tweaked through the Mi Fit app. This is also where your activity stats, such as heart rate zones, speed, time, stride length and pace, are all stored for your perusal. The black version of the Bip is available to buy now for $99, though the remaining three colour variants can be pre-ordered ahead of an expected launch on 30 March. Huami is a big deal in Asia, so it's noteworthy. But don't worry, it will be getting a proper test.